The U.S. tax code is constantly being modified, which means that each new filing year brings changes that taxpayers need to remember when filing their tax return. So what changes took place last year, and how will they impact the filing of your tax year (TY) 2017 federal tax return? Read on my dear friend. This change is probably most important to all those procrastinators out there. April 15th is the traditional day in which we’re all supposed to file our tax return. But this year, filing day has been pushed back to April 17th due to the combination of a weekend and a Washington, D.C. holiday. The usual April 15th deadline falls on a Sunday this year. Normally, taxpayers would have to file their tax returns by the following Monday, which would be April 16th. But the D.C. holiday Emancipation Day is held on Monday, April 16th. Since Federal law states that Washington, D.C. holidays impact tax deadlines the same way federal holidays do, that gives taxpayers across the country yet even another extra day to file. Tax fraud has become a growing problem over the years. To combat this, many states are now requesting or even requiring that taxpayers provide their driver’s license or state ID information if they want to file their state tax returns electronically. You’ll still be able to submit your state tax returns electronically without providing this information, but doing so might trigger a manual review by your state to verify your identity. This means it could take longer to receive any refund you are entitled to if you don’t provide this information. The IRS will not issue refunds for people claiming the EITC or Additional Child Tax Credit (ACTC) before mid-February. The law requires the IRS to hold the entire refund, even the portion not associated with EITC or ACTC. Per the IRS, they expect the earliest EITC/ACTC related refunds to be available in taxpayer bank accounts or debit cards starting on February 27, 2018, if direct deposit was used and there are no other issues with the tax return. This law change, which took effect at the beginning of 2017, helps ensure that taxpayers receive the refund they’re due by giving the IRS more time to detect and prevent fraud. The IRS has stated that it will not accept electronic tax returns from individuals who do not address the health coverage requirements of the Affordable Care Act (ACA). The IRS will accept electronic returns only when taxpayers indicate whether they had health insurance, had an exemption, or will make a shared responsibility payment. The good news is that the penalty amounts remain the same for TY 2017. The threshold for unreimbursed medical expenses increased from 7.5 percent to 10 percent of Adjusted Gross Income (AGI) for most taxpayers in 2014. There was a temporary exemption from January 1, 2013 to December 31, 2016 that allowed individuals age 65 and older and their spouses to still use the lower 7.5 percent floor. However, due to the Tax Cuts and Jobs Act of 2017, all taxpayers are now subject to the decreased threshold of 7.5 percent. Do you use your car for business or work? Well, the standard mileage rate dropped to 53.5 cents per mile, down from 54 cents for 2016. The rate used for medical and moving mileage drops to 17 cents per mile, down from 19 cents in 2016. If there is a bright spot, the charitable mileage rate remains unchanged at 14 cents per mile. This above the line deduction expired at the end of 2016. 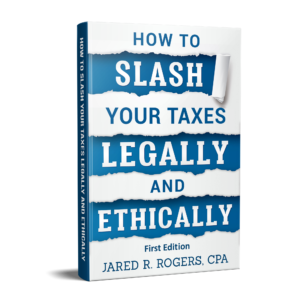 While there is a bill proposed by the Senate Finance Committee to “extend” this and other expired tax provisions, it hasn’t been passed as of the writing of this post. With that being said, you can no longer take a “deduction” for tuition or qualified fees you pay on behalf of yourself or your dependents. However, the American Opportunity Tax Credit and the Lifetime Learning Tax Credit are still available. Just noted that they are subject to phase-out limits and some other restrictions that prevent all taxpayers from claiming them. Another big change is the elimination of the tax code provision that allowed taxpayers who had discharged indebtedness related to home foreclosure to exclude it from their income. The qualified principal residence indebtedness exclusion allowed individuals to exclude discharged debt from being reported as income. However, similar to above, this provision expired at the en of 2016 and is another item included in the extender bill mentioned above. April 17, 2018, is the last day to file your 2014 tax return to claim a refund. If you miss the deadline, your refund goes to the U.S. Treasury instead of to you. You also lose the opportunity to apply any refund dollars to another tax year (e.g. 2015, 2016, etc.) in which you owe income tax. The 2015 Protecting Americans from Tax Hikes (PATH) Act provided that an Individual Taxpayer Identification Number (ITIN) would expire if an individual fails to file a tax return (or is not included as a dependent on another’s tax return) for three consecutive years. Under this new rule, taxpayers who have an ITIN that has not been used at least once in the past three years will no longer be able to use that ITIN on a tax return as of January 1, 2017. Additionally, individuals who were issued ITINs before 2013 are now required to renew their ITINs on a staggered schedule between 2017 and 2020. So, if any of the above situations apply to you and you need to file a tax return in 2017, you may need to renew your ITIN if it has expired. If you are a U.S. resident, you have to file information about your foreign holdings if they exceed $50,000 at year-end, if you’re a single filer. Foreign holdings exceeding $75,000 at any point during the year must also be reported. For those who are married filing jointly, the limits rise to $150,000 at any time, and $75,000 at year-end. For U.S. citizens living abroad, the reporting limits rise substantially. Single filers need only report accounts exceeding $200,000 at year-end, or $300,000 at any point during the year. For joint filers, the limits are $400,000 at year-end, or $600,000 at any time during the year. This entry was posted in Tax Talk and tagged $50 tax coupon, 2017 standard mileage rate, 7.5% medical deduction, cancellation of qualified principal residence indebtedness 2017, Changes To Be Aware Of When Filing Your 2017 Tax Return, Foreign financial disclosures, Inflation-Related Tax Law Changes for 2017, irs aca e-file, is my ITIN still valid, itin renewal 2018, medical expense deduction 2018, qualified personal residence indebtedness exclusion is available until, qualified principal residence indebtedness extension, refunds delayed for earned income credit, Tax Changes You Need to Know for 2017, tax day 2018, tax deadline 2018, tuition and fees deduction 2018, Tuition and fees deduction eliminated, tuition and fees deduction expiration, tuition and fees deduction expired, tuition and fees deduction extended 2017, what is the medical deduction for 2017 on January 13, 2018 by Administrator. $50 Tax Return Preparation? You Bet! Keep more of your money where it belongs; in your pocket! You work hard for your money right? Maybe you’re a high school or college grad working your first gig. Maybe you do quite well and lead a simple life with minimal “wordly” possessions. But doesn’t it leave you with a bad feeling when you have to pay $200 or more to get your “simple” return done? Back when I first started doing returns for others, I actually cut my teeth doing them for those who didn’t make a lot. What I mean is that I was a preparer for the IRS Volunteer Income Tax Assistance (VITA) program. This program is FREE for those who qualify and it really humbled me; as I saw firsthand how little money some people have to survive on. So when we opened up our retail office, I vowed that if you didn’t make a lot and your return was simple, you wouldn’t be charged a lot. Now what do I mean by simple? I specifically mean that you have to file form 1040-EZ. Not sure if you filed this form last year, then click here and compare it to your tax documents. If you meet the above, why not save yourself some money this year? Give us a call at 773-239-8850 and we’d be happy to welcome you to our family! 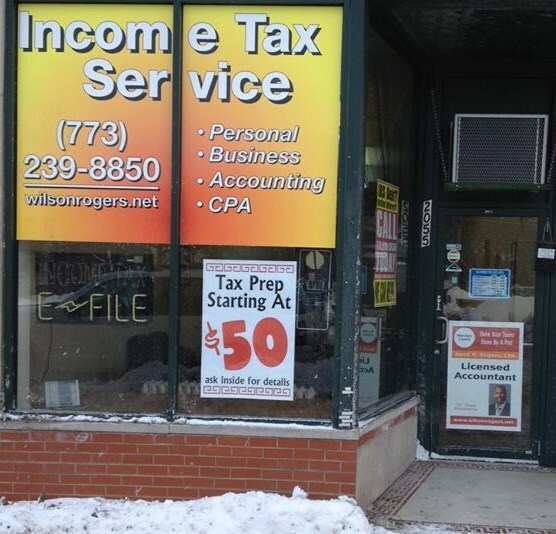 This entry was posted in Tax Talk and tagged $50 tax coupon, $50 Tax Prep, $50 Tax Preparation, 1040EZ, Cheap 1040EZ prep, cheap tax preparation, chicago tax preparation, simple tax prep cost, simple tax preparation cost, tax prep on the cheap, VITA on February 9, 2014 by Administrator.